Gray Hair Natural Conditioner - Luxury Beauty Care Products ! Moisturize and condition for brighter shine without weighing hair down. Gray hair tends to be dry, brittle and even frizzy. The outer layer of each hair strand tends to be more porous and coarser which means that it is prone to many undesirable conditions. Gray hair tends to trap more debris with can lead to yellow dull and flat looking hair. It can also lose its nutritive moisture barrier which can explain the dryness and frizz of gray hair. Our nutritive conditioner for gray hair penetrates to protect and moisturize from the inside while gently closing and coating cuticles on the outside for hair that is left healthy, shinier and silky smooth without be weighed down. 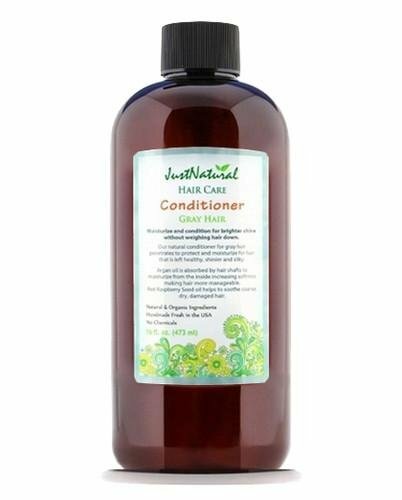 This nutritive conditioner for gray hair nourishes so that your hair appears brighter and beams with the look of health.Gray hair tends to be dry, brittle and even frizzy. This entry was posted in Hair Care on March 2, 2017 by admin.